In 1928, the boy who will discover Pluto, Clyde Tombaugh, is on the family farm, grinding a lens for his own telescope under the immense Kansas sky. In Flagstaff, Arizona, the staff of Lowell Observatory is about to resume the late Percival Lowell's interrupted search for Planet X. Meanwhile, the immensely rich heir to a chemical fortune has decided to go west to hunt for dinosaurs, and in Cambridge, Massachusetts, the most beautiful girl in America is going slowly insane while her ex-heavyweight champion boyfriend stands by helplessly, desperate to do anything to keep her. 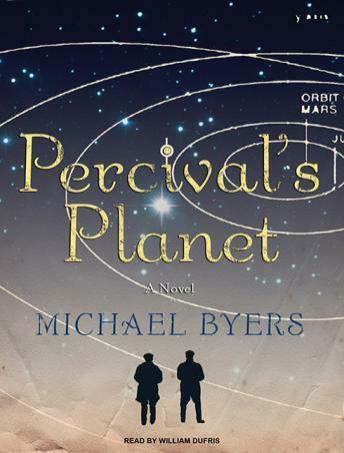 Inspired by the true story of Tombaugh and set in the last gin-soaked months of the flapper era, Percival's Planet tells the story of the intertwining lives of half a dozen dreamers, schemers, and madmen. Following Tombaugh's unlikely path from son of a farmer to discoverer of a planet, the novel touches on insanity, mathematics, music, astrophysics, boxing, dinosaur hunting, shipwrecks-and what happens when the greatest romance of your life is also the source of your life's greatest sorrow.